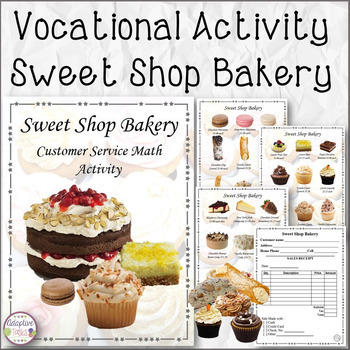 Sweet Shop Bakery is a visually tasty product to practice vocational skills. 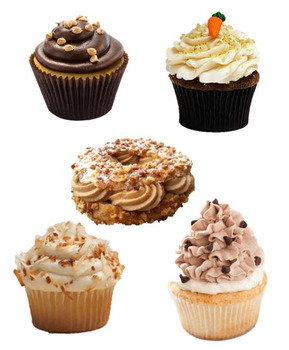 Included is a 3 page menu with all the images in larger form to role play customer service and filling orders at a bakery. 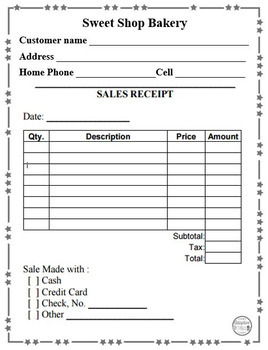 Also included is order sheets for customers to fill out orders. Great for vocational, life skill, filling orders, math and customer service skills. Please look at product preview for more visual detail of product.